Phosphoric acid, a thin brush with natural bristles. Preferably lathe with a sharp cutter. Under a protective cap the working surface of the lambdaprobe gets contaminated with carbon and lead deposits. As a result, the sensor becomes incorrect. After cleaning the surface normal operation of the lambda probe is restored. Ceramic base working surface of the sensor is covered with a thin layer of platinum deposition, so cleaning the device is mechanically prohibited. Method of cleaning the lambda probe is a 20-minute washing it in phosphoric acid. This acid dissolves plaque without harming the platinum electrodes. After rinsing the sensor is opened. Procedure opening: on a lathe at the base cut off the protective cap. Work is carried out carefully, using fine cutter. The use of a hacksaw on metal is strictly not recommended because of risk to protect the ceramic sensor. Using a thin brush with natural bristles, phosphoric acid is uniformly applied to ceramic rod lambda sensor from all sides. Washed only working part of the probe, and the sensor in the acid is not absorbed. Dirty rod has a black-brown color. The net needs to have a steel tint. After cleaning the sensor should be well rinsed with water and dried. The protective cap is welded with argon welding. If argon welding is no, then before cleaning the lambda sensor cap is not cut. With a file in it bore two Windows with a width of 3-4 mm. the wash Procedure acid takes place with a brush using the Windows. Pre-checking the condition of o-rings, cleaned the lambda sensor screwed in place. 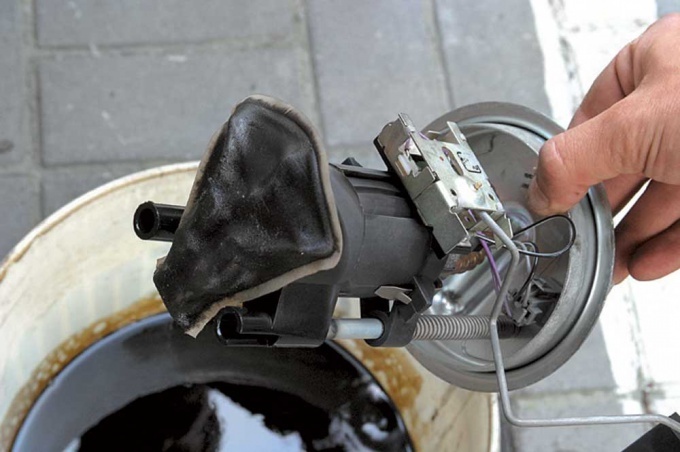 The process of cleaning an oxygen sensor deposits can be repeated unlimited number of times, the extent of contamination. If cleaning the sensor did not affect its work, replace the sensor. Avoid contact of phosphoric acid with his hands. The acid causes severe burning of the skin on the hands. Instead of phosphoric acid, you can use a rust Converter, which is composed of this acid.